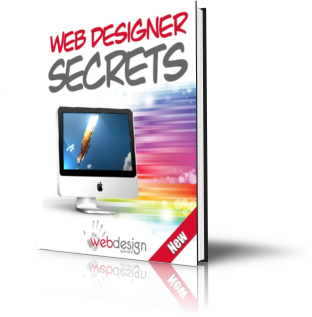 Hi and welcome to the very last post relating to my eBook “Web Designer Secrets” – I hope you have found them useful. If you haven’t go a copy of the Ebook yet (!) you can download a copy free by clicking on the image to the right. As a web designer I deal with the nuts and bolts of the website. The layout, the structure , the coding and the graphics and getting it raked well in the search engines. These are all important. But there is a more important thing that need to be worked on first, and not by me. By you. the business owner. The most important thing in a web design project is not its navigation, its domain name, or even what it says. It is purpose. Is there a clear purpose and reason behind the website? Or put it another way- what is it supposed to do or achieve? Having an end-goal in mind for your website will serve to guide and focus all other efforts relating to the site. From the navigation, to the design and what it says. These will all align well and work together best if there is a clearly visualised and named product for the website as a whole. Now you don’t need to be all esoteric or mystical about it though. In fact the more precise and practical you are the better it is. Doing this help you decide what you do and what you don’t need. It also tells you whether you need a checkout facility/ shopping cart site (an ecommerce website) or simply an information site with a contact form (what I call a small business website) . It tells you whether you need state-of-the-art graphics, interactive flash animations or simply a page of informative text. As a web designer I always strive to provide my customers with a website that suits their specifications. A few months ago I was paid a deposit to build a new small business website to replace a very old HTML site that wasn’t optimized and wasn’t ranking well as a result. It had many broken links and used frames. In other words it was a mess!! I proposed a fast loading site build on a content management system ( so the owner could update it when she wanted) and a much faster / lighter image gallery placed deeper in the site so as not to impact on the ranking as much. I also proposed full optimisation and back-link building. In other words I proposed a site that would load well, was easy to navigate which would ranking well in the search engines. That is what she asked for after all! BUT… the as soon as we started the customer said she also wanted a flash intro page with a 1-2 minute flash animation. Plsu she wanted the “home page” to contain only images (no text) and she also proposed a complex navigation and an unusual font that few browsers support. I couldn’t convince her that doing these things would lose her 25% of her customers before they even got to the home page; would massively impact on the site load time; and would severely impede any search engine optimisation. Believe me I tried. Eventually I gave her the deposit back and told her I couldn’t help her. The site she asked for would not meet the goal she had set. Maybe in my earlier days I would have built what was asked for. But not now. I know what she was insisting on would not work. It would not be much better than the site she was replacing in actual fact. And I know that customer would also blame me for this. And to a degree she would be right to do so. So the moral to the story is know what you want the site to do, have an idea of what is required for this to happen and be willing to be guided by someone who knows what they are talking about. When my daughter got married my wife – who is not normally much for the internet – spent many hours surfing for mother-of-the-bride outfits and wedding related items. This is what she said to me – and these comments are so typical of your everyday internet user. She told me that if a site took too long to load she’d leave and go elsewhere. If she couldn’t easily see how to get to the information she wanted she would leave and go elsewhere. Build your site to suit your customer and your strategy (goal). Not your ego. If you do this you’ll find your development costs will probably go down!! And so will the costs. You’ll be working to make the site as SIMPLE as possible for your customers. And interestingly enough google will probably like your site better as well. In my eBook I suggest a simple way to build a website based on wordpress for very little cost. For some people this will suit their purpose just fine. For others it wont. For those who need something more don’t despair. Web design doesn’t have to be expensive. It doesn’t need to cost tens of thousands of dollars. A few thousand at the most I’d say!! That’s all I charge – and often much less. And I must say my sites work pretty well on the whole. If you really want to know how much it will cost to get a website built then get a free web design quote from me. And by all means shop around as well if you wish. I know my prices are very competitive but not as low as some. I know how to make a website work as a business tool.